The world of diabetes is no stranger to Pat. After watching her family members suffer from diabetes for years, she decided that she would do everything in her power to avoid the same fate. Pat built her lifestyle with a simple goal in mind: prevent diabetes. So when Pat first began experiencing prediabetes symptoms in March of 2017 and was diagnosed with prediabetes, she was both devastated and afraid. Pat had been eating a high-protein, low-carbohydrate diet that was high in lean meats and non-starchy vegetables. She was confused and frustrated because her physicians told her that she was eating a “perfect diet,” yet she had low energy, elevated blood pressure, she couldn’t lose weight, and was now living with prediabetes. Pat sunk into a state of depression. Despite living in a beautiful part of California (what she calls “paradise”), she wasn’t enjoying her life. She was devastated by her diagnosis and felt lost because she didn’t see any solutions in sight. When Pat found the Mastering Diabetes Program, she felt like someone threw her a lifeline. She immediately recognized that she was being given a chance to reclaim her health. At first, she utilized the free information available on the website, attended webinars, read articles and testimonials on the blog, and watched the Mastering Diabetes YouTube videos. Using what she learned on her own, Pat began modifying her diet to reduce her intake of animal products, and increase her intake of fruits, beans, and whole grains. Pat also eliminated salt and oil from her diet. She recounts that eliminating oil was easy, but admitted that eliminating salt was considerably more challenging. She discovered that as long as she kept salt out of her diet completely, her taste buds adapted to a salt-free diet and began tasting flavors that she hadn’t experienced before. During this initial transition, she felt exhausted as a result of her previous low-carbohydrate, high-protein diet, and exercise was extremely difficult. However, a low-fat, plant-based, whole-food lifestyle gave her hope, and she trusted that the Mastering Diabetes Program guidelines would help her reverse her frustrating prediabetes symptoms, including high blood pressure, excess body weight, low energy. This was the turning point in her health journey. 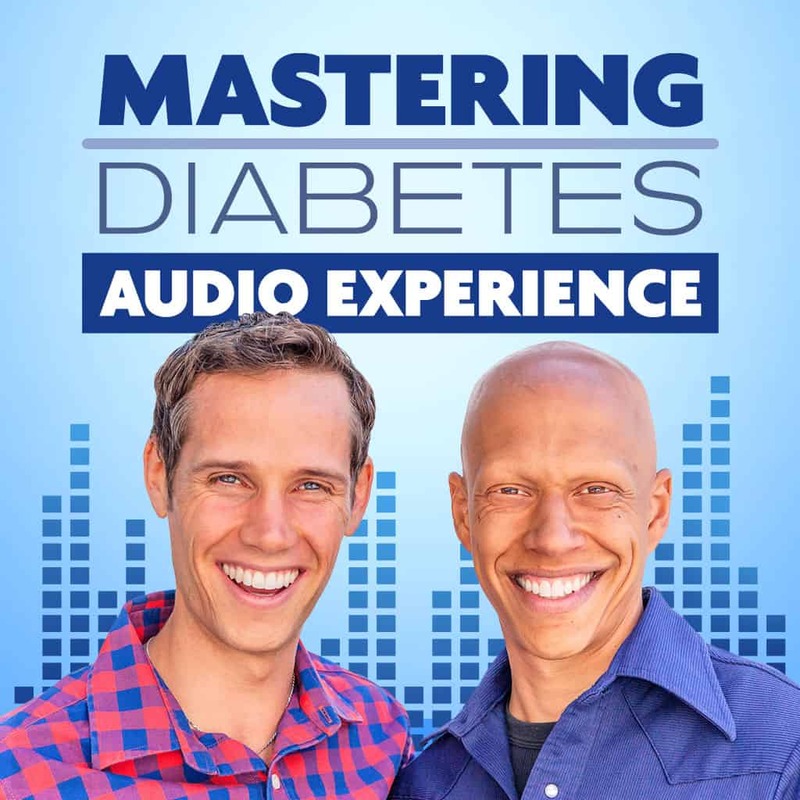 Prior to joining the Mastering Diabetes Program, Pat had felt alone in her experience, and that nobody truly understood what she was going through. At Mastering Diabetes, Pat found a community who made her feel welcomed, accepted, and seen. As Pat stuck with the program, her prediabetes symptoms began disappearing. She began losing weight, she regained energy, she fell back in love with food for the first time in years, and her life became an entirely new experience. She loves her life, she loves her food, she loves her body – it’s no wonder she is now happy all the time. Her husband tells her that she is a completely new person. Pat loves what she eats each day. She prefers eating two meals per day, and snacks on dates or fruit in between meals if she gets hungry. She starts with a big breakfast of quinoa porridge with walnuts and blueberries, alongside a bowl of spinach and fruit (usually 4-5 different fruits diced up and piled high). A typical evening meal is a big bowl of 3 bean chili, spooned into corn tortillas and topped with cilantro, green onion, salsa, and avocado. Today, Pat lives free of prediabetes symptoms, and free of fear about her risk for developing chronic disease in the future. She is confident that she is living the healthiest life possible, and that she is eating to maximize her diabetes health every day. Her lifestyle is a joy that doesn’t detract from her life – instead her lifestyle choices make it more rich and full. Do you have a family history of diabetes? What are you doing to prevent diabetes for you and your family?